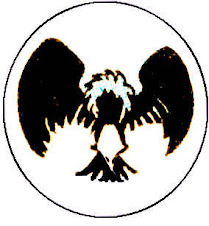 An unidentified party was known to have created D. N. Aliens outside the aegis of Project Cadmus, the genetic engineering outfit most associated with these types of scientifically manufactured beings. As these rogue, mostly inhuman looking D. N. Aliens would appear in public, often discovered during some form of "rampage," they would be captured and placed in Cadmus' high tech holding facility dubbed "Monster Alley." A subset of these beings were in a vegetative state, and held is a segment reserved for "the sleeping monsters." One of these beings was a large mass of Caucasian flesh covered with various protrusions, some identifiably human extremities and others more foreign, such as tentacles. This being was not truly in a coma, but was instead active on the psychic plane, and in fact contributed to the unconscious states of other "monsters" by sapping their psychic energy to further empower the subject's non-corporeal form. 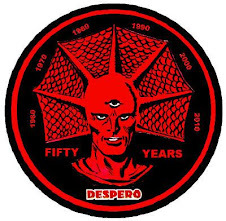 Self-identifying as "Bette Noir" and composing the form of a seductive pale-skinned woman from pure psionic energy, the "vampire" went undiscovered until she victimized one of Cadmus' most prominent figures, the telepathic D. N. Alien Dubbilex. At this time, the clone Superboy had been working closely with Cadmus, but was unavailable to help due to his commitment to the teen metahumans Young Justice. Further, the crime seemed to require investigation involving a different set of skills and powers, so Superman recommended the Martian Manhunter to assist. 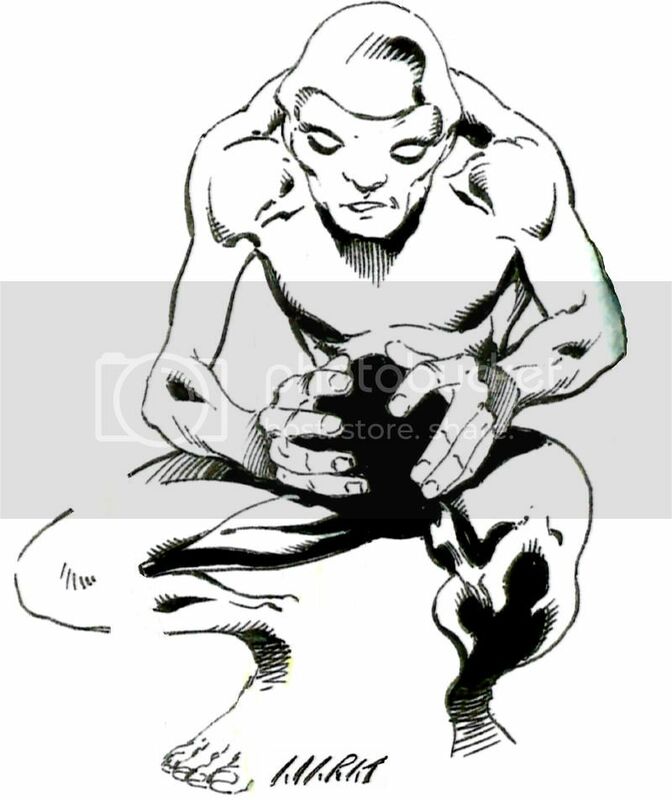 J'Onn J'Onzz attempted a mind meld with Dubbilex, and was nearly sucked into a "psionic black hole within him" where all of his considerable mental power had been drained by an unknown nearby source. 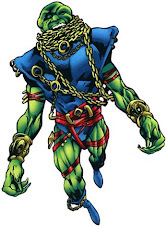 J'Onzz oversaw the construction of a cage around Dubbilex's physical form that would disrupt his draining, while the Martian set down a telepathic net to detect the assailant when they investigated the disruption. Even still, Bette Noir arrived without setting off this web of psionic energy, then offered a demonstration of her powers that temporarily bested the Manhunter, the cloned Guardian, and other members of Project Cadmus. However, the Martian Manhunter recovered quickly, traced Bette back to her physical body, and telepathically crafted psionic restraints that trapped Bette within her own mind. J'Onzz expressed regret at this harsh but necessary sentence, and vowed to work toward improving the living conditions on Monster Alley. Some time later, the serial killer of metahumans Dr. Trap learned of the existence of the highly developed D. N. Alien telepath, and used connections cultivated over the years to make contact. Trap offered to free Bette Noir from her body while allowing her a place within his own mind, but failed to elaborate that he would have her physical body killed while subjecting Bette to conditioning that allowed him to subjugate her. Bette was then used to mentally manipulate J'Onn J'Onzz into confronting the captive Dr. Trap, who unleashed the full force of Noir's power to cause J'Onzz to relive his every painful memory at the same time on a continuous loop. J'Onzz was only very briefly incapacitated, and his powers were temporarily muted, but he ultimately reached a mutually beneficial agreement with Bette Noir to reside within and torment Dr. Trap instead. When last seen, Bette Noir was revisited by J'Onn J'Onzz as a suspect in crimes actually being committed by the disembodied spirit of Harley Quinn. However, he did find that Bette's continuous punishment of Dr. 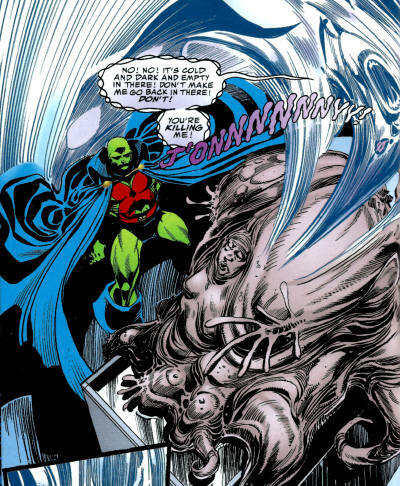 Trap had become sadistic, so the Martian Manhunter collaborated with Trap to press Bette Noir into becoming a more conscionable warden over his psyche. Although the D. N. Alien's physical form was static, her psychometric manifestation as Bette Noir was largely unhindered by corporeal restrictions. She could fly and pass through solid objects. Her powers are telepathic, telekinetic, and pyrokinetic, which allowed her to interact with J'Onn J'Onzz's body even when he would otherwise have been intangible, lighting his molecules on fire and threatening to similarly burn out his mind. 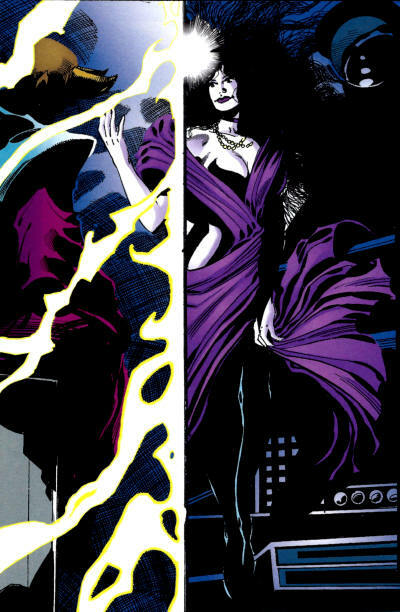 Bette Noir can enter a person's mind and alter their perceptions, at one point taking the form of J'Onzz's deceased wife M'yri'ah in a bid to seduce him, and monstrous forms to inspire fear. Since losing her physical body, Bette Noir has needed to be hosted in the minds of others. Quote: "My physical body-- is just misshapen flesh. This is the only life-- the only freedom-- I'll ever know. And there's so much I could do for you, J'Onny. I sneaked a peek in your mind. I know what you need." 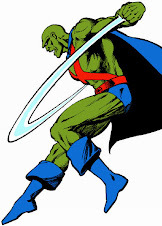 J'onn J'onzz's unnamed parents appeared in one of the hero's earliest stories as carbon copies of the basic Martian with a color flipped costume and/or a barely noticeable gender swap. They appeared once or twice more during the Silver Age Detective Comics run, and then nothing for 3½-4 decades. 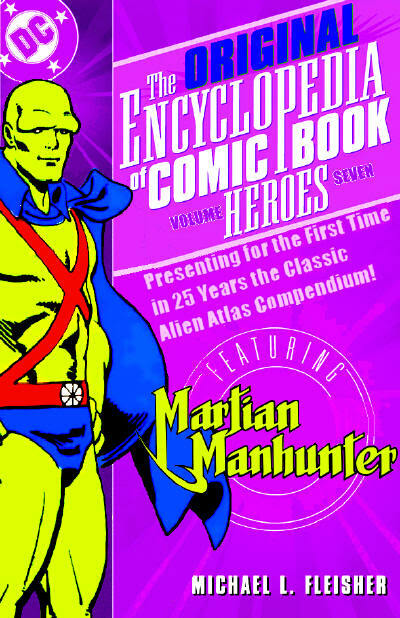 If I recall correctly, they didn't turn up again until the last story arc of the 1998 Martian Manhunter series, where John Ostrander finally named the father "M'yrnn" and Eduardo Barreto redesigned the character... as still pretty much J'Onn J'Onzz in essentially the same costume, but with less red and a Jemm-y gem on his brow. I wasn't at all a fan of Ostrander's exploration of J'Onn J'Onzz's childhood through the dark lens of his then-newly invented evil twin brother, but I did like that he bucked a common comic book crutch by having his mother Sha'sheen being the dominant and defining parent while the father was a comparatively minor entity. With this in mind, I looked at the brand name talents available to work on this jam piece and thought "who would I like to draw the Martian Manhunter besides Carlo Barberi?" 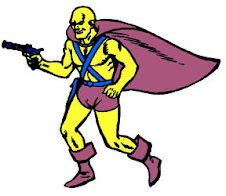 Costume variations aside, M'yrnn was a second opportunity to get a proxy J'Onn into the piece, and you know which long time DC artist specializing in their iconic characters who rarely/never got around to the Alien Atlas was in Houston this year? Scott Kolins is of course most famous for his three year run on The Flash with Geoff Johns, but he's been on my radar since he got his start on the Ultraverse line and my favorite of his runs was a brief stint on The Avengers (I especially dug his Captain America!) Saturday in Space City was tense due to the demands of getting so many parts of the jam completed before several of the intended artists left early, so I was in a bit of a rush when I raced to Kolins to ask him to join in. He was approachable and friendly, not to mention quoting a very amenable price for a full figure that would occupy one of the largest spaces available in the jam. *Not talking about the package anymore. C'mon, guys! Unlike the several other art jams I've been engineering, I wanted the "family photo" to be completely done within the summer of 2015 to insure it could unfurl early and often into J'Onn J'Onzz's sixtieth anniversary year. I also wanted to stick with recognized professionals in the industry, I wanted to maintain the high standard set by Brett Booth, and I tried to approach people I'd never gotten work from before. That was a pretty tall order, and ultimately, those demands had to give in a few places. As I juggled the various artists and subjects in a premeditated but necessarily flexible sequence across two short weekend shows, I ended up with a narrow gap between a pair of full-sized standing figures where two characters had to fit. Further, I had used green Post-Its to establish not only each character's general location, but also their relative height to maintain scale. Since the as-yet-not-drawn Sha'sheen J'onzz had to be slightly below the eyelines of the already fully rendered J'onn & M'yrnn, that meant the other character had to squeeze in below her dedicated space, no higher than waist up on anyone, and did I mention she also had to interact with the finished K'hym piece? That was a list of severe demands, and I frankly needed to call on someone I had a history with who I could trust without reservation to pull off this challenge. I needed the maestro behind one of my first commissions who as a result became my ideal figure artist for Commander Blanx, none other than Marat Mychaels! He's worked on hundreds of comics since the early '90s, most notably Brigade, Deadpool Corps, Army of Darkness, & Grifter, plus he's closely associated with another superstar artist I was angling to include in the jam! Through my long-winded explanation and the various leaps to this point, it was a minor miracle Mychaels managed such a fine specimen! I love the Kirbyesque quality to the hands, feet, and the solid blacks. Note his ability to skew the androgynous subject more feminine through subtle use of feathered pseudo-eyelashes, as well as a general softening of the harsh Luke McDonnell reference art. It's a lovely little piece packed with fine detail, and he even gave it to me at a discount, despite the amount of effort needed to make the piece work within the confines of the jam. As ever, I'm a fan of Marat Mychaels, one of my commission all-stars, who is a class act and has never let me down!